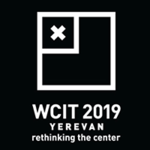 The World Congress on Information Technology (WCIT) is the largest and the most reputable international event among worldwide IT leaders. It brings together high-level officials from different countries, heads of multinational organizations, universities and scientific research centers, non-governmental organizations’ representatives and many more. The event includes discussions of legal, political and economic trends affecting IT business processes, presentations of innovative solutions, B2B meetings and so on. The WCIT has been held since 1978. Previous hosting countries were Canada, the Netherlands, Malaysia, USA, Greece, Australia, China, Spain, Japan, England, France, Denmark, Mexico, Brazil.